One of my favorite things to do is to recreate leftovers into something new. 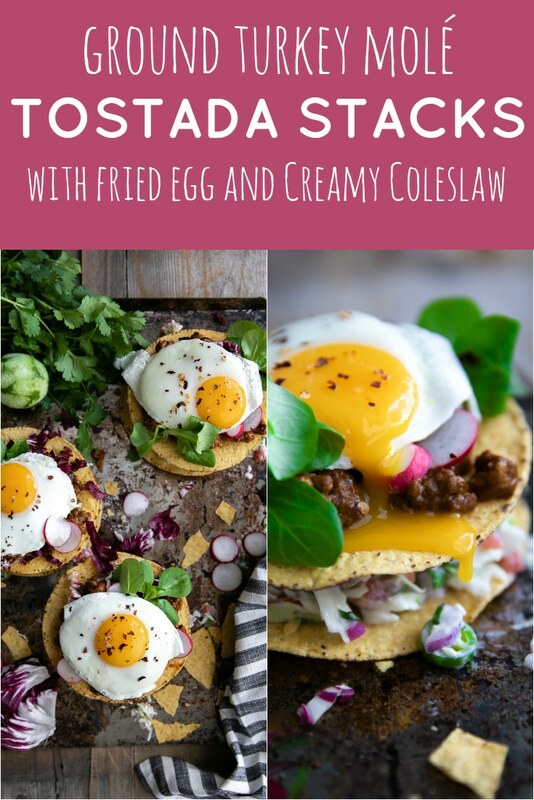 These Ground Turkey Tostada Stacks use leftover homemade Molé sauce, crunchy fried tostada shells, cabbage slaw, and a fried egg (because obviously) to turn boring into awesome. 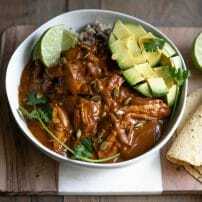 Remember when I made the Chicken Molé with Homemade Molé Sauce? And I told you guys that there are about a million ways to use up all that leftover Molé sauce? 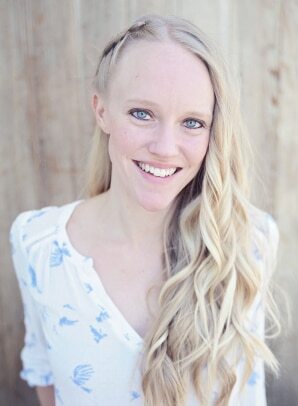 Well, as promised, here is one of my favorites! 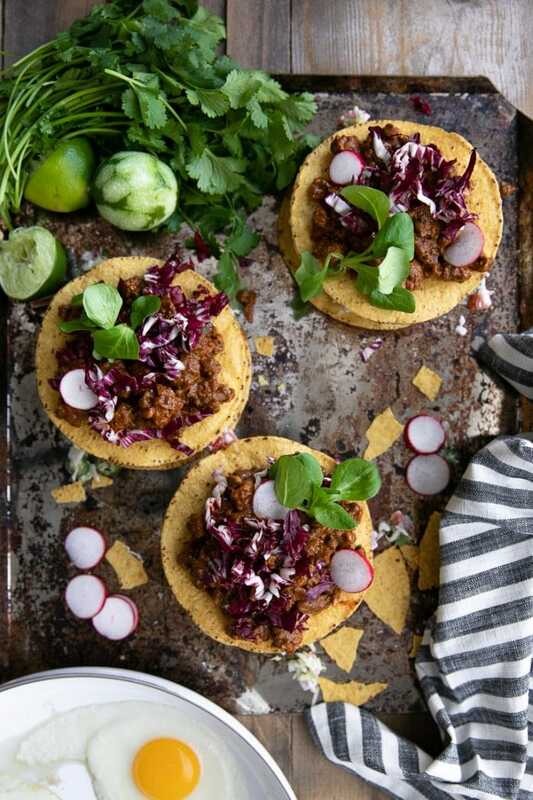 Simple, easy, and so much fun, these Ground Turkey Molé Tostada Stacks are awesome. And waaaaay tastier than anything you’ll get at a fancy restaurant. Anyway, who here has had a tostada before? Who here knows that tostada even means? In other words, we have a regular old tortilla that’s been fried (OOOHH yeah!) or toasted, to make it nice and crispy. IT’S A GIANT FRIED TORTILLA CHIP. I thought, hmmm, I can really do something with these giant fried tortillas. 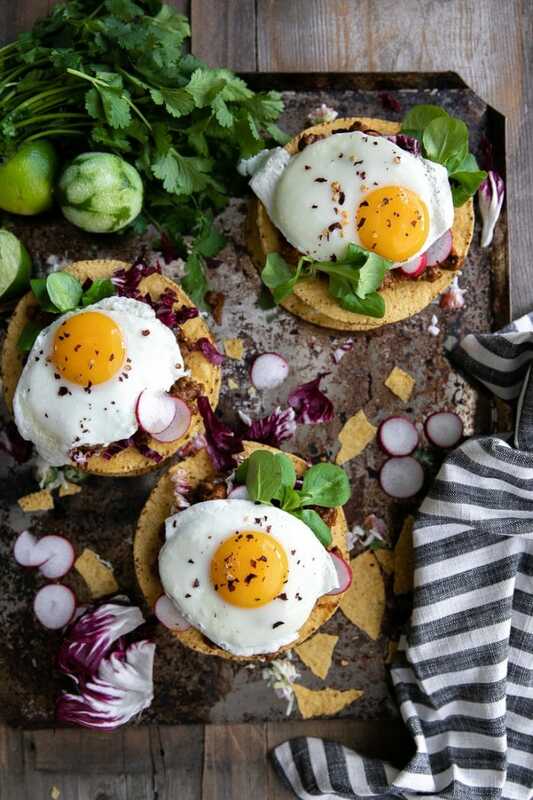 To save you the energy of reading the entire sequence of events that lead up to these final, beautiful, delicious, tostada stacks, let me just say that originally when I set out to make them they were not stacks and they did not include eggs. It just happened and OMG they were so GOOOOD. If you’re thinking, well that’s great and all, but I don’t have two hours to make homemade Molé Sauce. Most markets sell pre-made molé sauce. 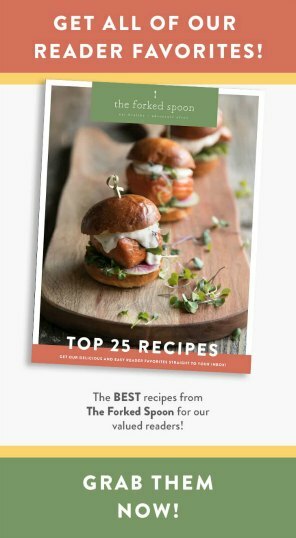 Of course, it won’t be as amazingly good as my version (jk, I have no idea), but it will be there in a pinch should you need it. 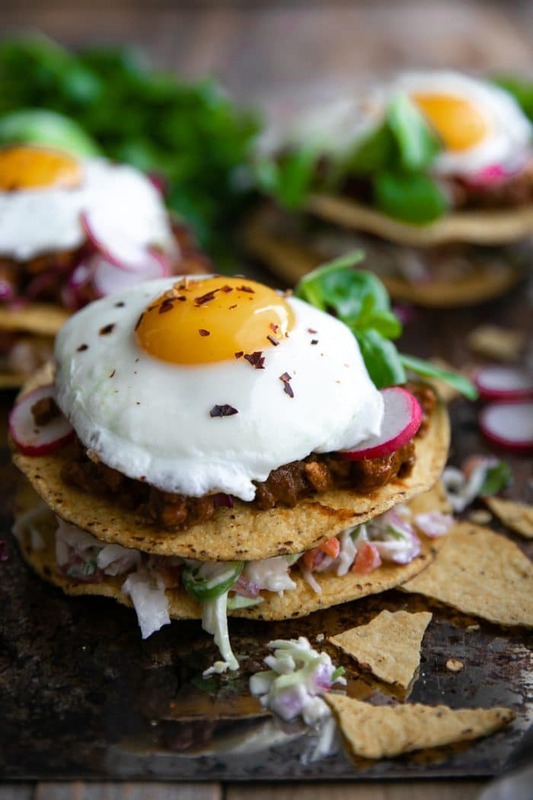 And, if you’re not into stacking your tostada, that’s ok, too. 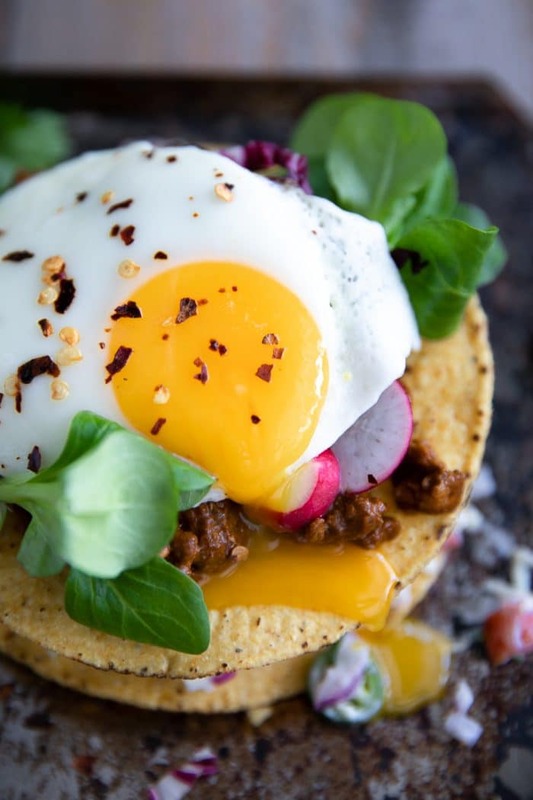 Pile it all on top of one crunchy tostada and call it a day…or night…or morning. You know, anything goes! One of my favorite things is to recreate leftovers into something new. 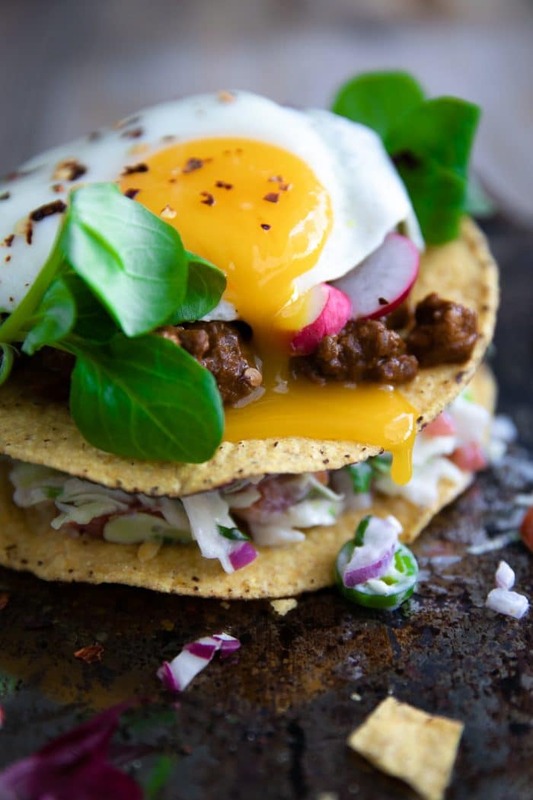 These Ground Turkey Tostada Stacks use leftover homemade Molé sauce, crunchy fried tostada shells, cabbage slaw, and a fried egg (because obviously) to turn boring into awesome. Add the olive oil to a large skillet over medium-high heat. Once the skillet is nice and hot add the diced onion and sauté for 4-5 minutes, or until translucent and starting to soften. Stir frequently. Add the garlic to the onion and sauté for one minute. Transfer the ground turkey to the skillet with the onion and garlic. Reduce heat to medium. Continue to cook until the meat is cooked through, approximately 8-10 minutes, stirring frequently. Add the molé sauce to the skillet and stir to combine. Continue to cook until sauce is heated through. Remove from heat and set aside. 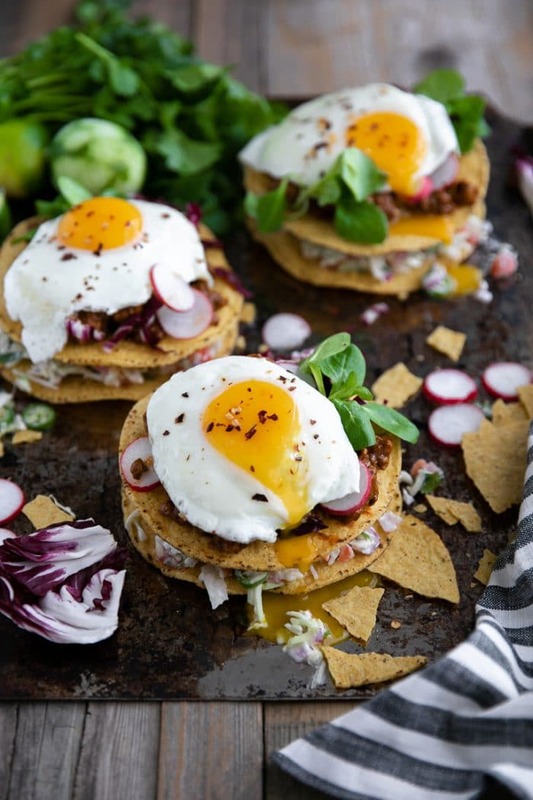 Build your tostada stacks. Pile approximately 1/2 cup coleslaw on top of one Tostadas Caseras Amarillas (or tortilla of choice). Place one more Tostada Caseras Amarillas on top of the coleslaw and pile with a couple generous spoonfuls of the ground turkey Molé. Add additional fresh greens or avocado, if desired. 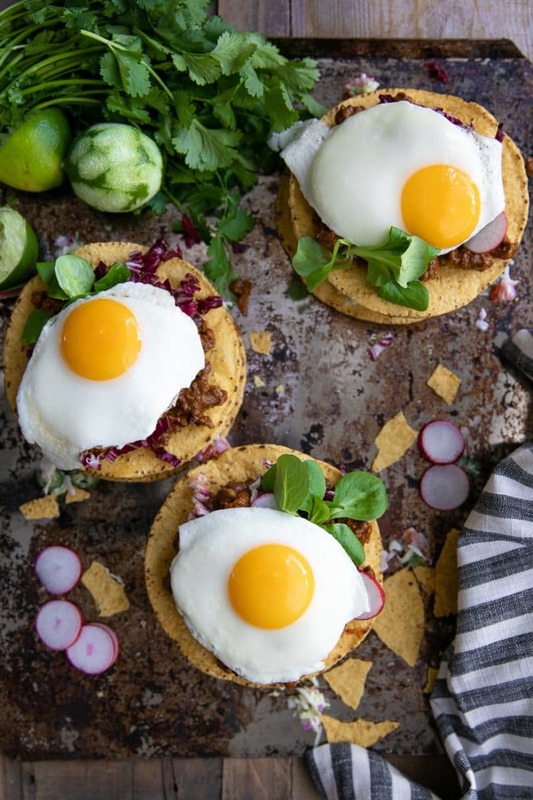 Just before serving, top each tostada stack with one fried egg. In a large bowl, combine the cabbage, carrots, red onion, green onion, and peppers (if desired). Toss to combine. 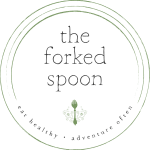 In a separate, smaller bowl, whisk together the mayonnaise, sour cream, white vinegar, sugar, and a pinch of salt and pepper. 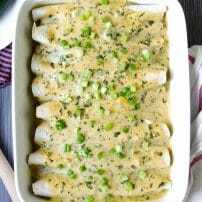 Transfer the creamy mayonnaise mixture to the coleslaw and mix until fully combined. Season with additional salt and pepper, to taste. You can find the recipe for my HOMEMADE Molé sauce HERE. Cooking time does not include the time needed to make homemade Molé Sauce. 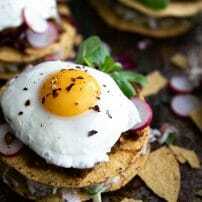 I love both mole and fried eggs! I cant wait to try this!